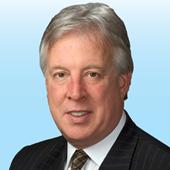 Colliers International | Experts | Barry Hofheimer Sr. 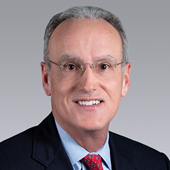 Since 1981, Barry Hofheimer has been actively engaged in the commercial real estate field. He has a wide range of experience including investment sales, office and retail leasing, and land development. Recently he has concentrated his efforts on investment sales with a particular emphasis on multi-family (land & projects) and retail. In addition, his experience includes many lease transactions, work on behalf of major companies relocating to the Richmond area, corporate headquarter site selection, retail prototype site selection, land development for residential communities and neighborhood retail. Barry and two partners joined the firm in 2001 upon closing their boutique commercial firm, Virginia Landmark Corporation. Prior to entering the commercial real estate field, Barry was Vice President of Jefferson Manufacturing Company, a menswear manufacturing company. Barry coordinated the manufacturing end of the business scheduling the production and shipping of 500,000 pairs of men’s slacks and 150,000 coats annually. Virginia and Salem View (60 units) in Roanoke, Virginia. Robert Brownfield has been a member of the Retail Brokerage Services Group since 1996 and earned his associate broker's license in 2002. He works in landlord and disposition services as well as tenant representation, market analysis and retail property and investment sales. 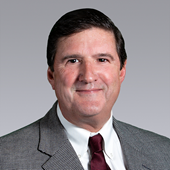 Chris Doyle has over 33 years of experience in the commercial real estate industry, the last 25 as an Associate broker. His primary area of expertise is site selection for local, regional and national retailers and developers as well as implementing all aspects of retail shopping center development. During Chris' 33 years in the industry, he has consummated over $400 million in sales and leases. Chris has involved himself in the brokerage, leasing and/or development of over 40 shopping centers from Virginia to Florida. Previously, he was Vice President for the Richmond office of Trout, Segall and Doyle from 1993 to 1996. From 1986 to the present, Scott Boyers has been actively engaged in the commercial real estate field. He has a wide range of experience including office leasing and sales, both downtown and suburban, and including significant build-to-suit developments. Scott has also been involved in searches for historic tax-credit projects for various developers and investor groups. 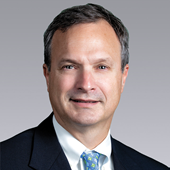 His experience includes approximately 700 lease transactions, including representation work on behalf of major companies in the Richmond area, such as Bell Industries, Bon Secours, Harris Williams, Palmer & Cay, Honeywell, Watson Wyatt Worldwide, Smith Barney-Citigroup, and GMAC Commercial, and also consulting assignments with Dominion Virginia Power. Redently, Scott has concentrated his efforts in multifamily sales and development of mixed-use and multifamily projects, including new projects from the ground-up and adaptive re-use projects using historic tax credits. He continues to represent several long-term office clients in tenant representation assignments.